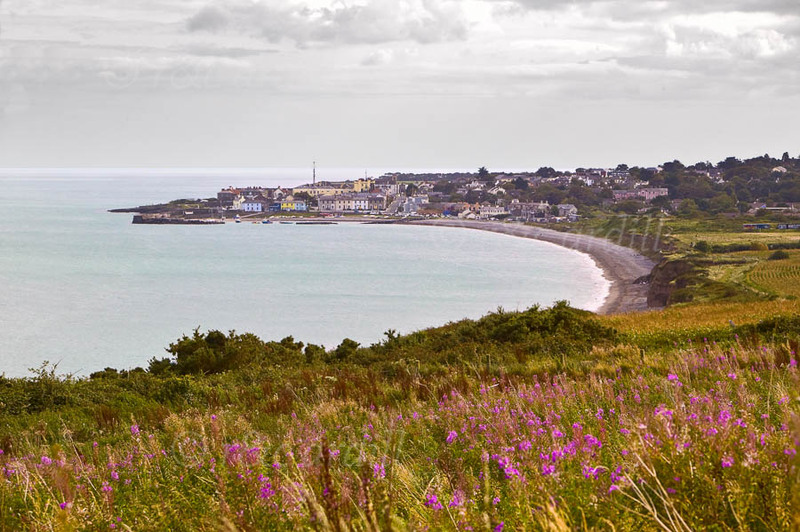 A view of the small seaside town of Greystones on the east coast of Ireland. The bay has a wonderful sickle shape. Fireweed is in the foreground.